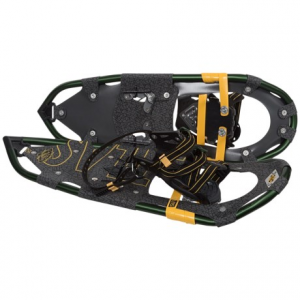 The Atlas Elektra 825 Women’s snowshoes are an excellent choice for women who are interested in easy to moderate snowshoeing on groomed or well packed trails. Out of the box these snowshoes felt heavier than I was expecting but I quickly forgot all about that. The bright neon pink colour made it hard to pay attention to much else. It would be nice if there was a choice of colors. Call me superficial but I for one would never buy pink gear. Obviously a lot of women would. In fact, the one woman I spoke to while doing this review stopped me to gush about how ‘pretty’ my pink snowshoes were. It just would have been nice to have a choice of a less ‘girlie’ colour for us less girlie girls. The dimensions are 20.3 x 63.5cm and they are recommended for loads between 54-91kg (user and pack weight) which gives you a fair amount of wiggle room between light day packs and fully loaded overnight packs. I wore a day pack as I expect that is what most people who use these snowshoes will have. 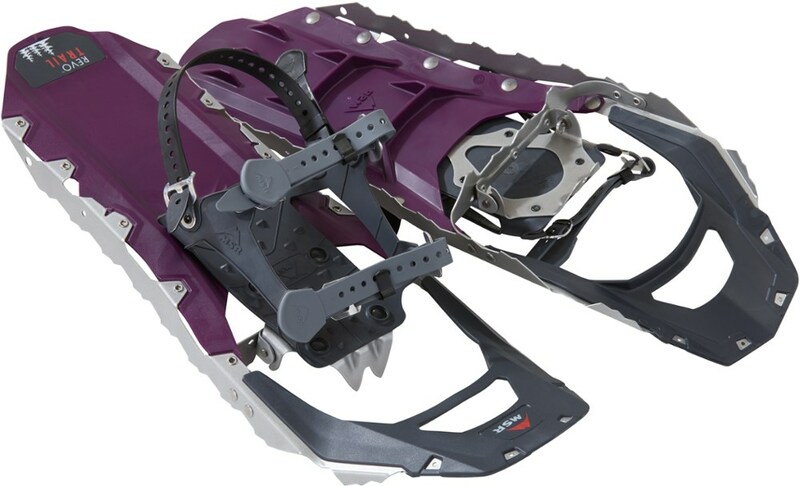 I tested these snowshoes on the groomed snowshoe trails at Grouse Mountain which is the type of terrain for which they are intended. It was an unusually cold night with the temperature dropping down below -10. The strong winds made it feel much colder. I was very pleasantly surprised to find that I could put the Elektras on and without having to take off my gloves. 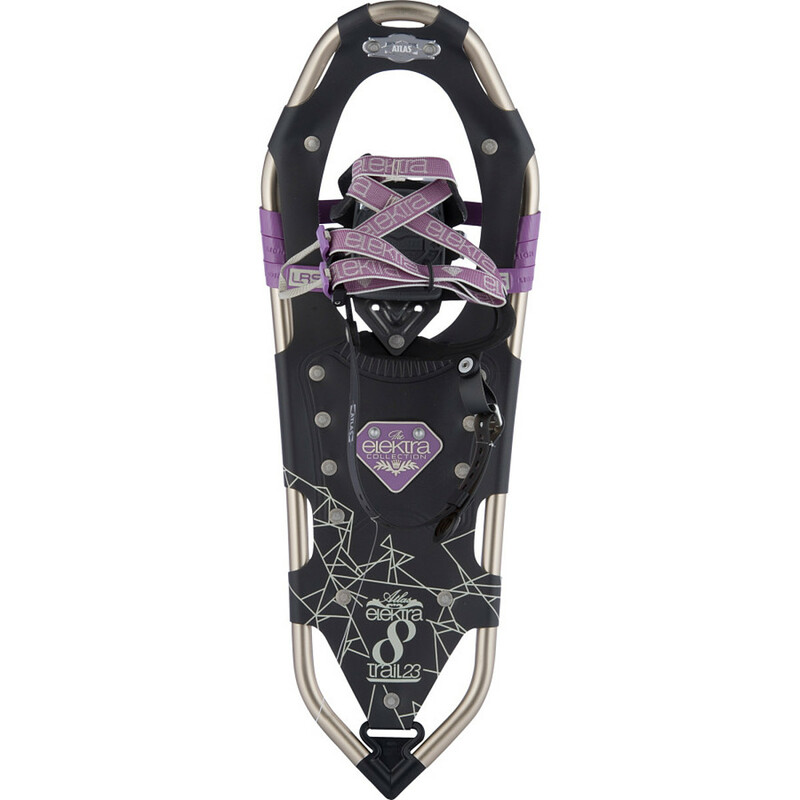 There are three size settings on the EZ8™ bindings, large, medium, and small. They were on the large setting and adjusting it would have meant taking my gloves off so I left it there and hoped for the best. Tightening up the straps is very easy and my feet felt nice and snug without any pressure points. I like the feeling of support this binding system provides. I was immediately surprised by how light the Elektras felt on my feet. They weigh about the same as my MSRs but felt much lighter. I also quickly appreciated that I could walk easily without kicking my inner calf as I do so often with my MSRs. Atlas really has done a great job with this. My gait was much more natural in the Elektras. Being able to walk more easily saves energy and makes for a more enjoyable experience. Before long I realized that my right foot was a bit twisted, with my heel coming in and my toe pointing out. I assumed that it had something to do with the bindings being on the ‘Large’ setting since I don’t have particularly large feet. I stopped to adjust it. Fortunately I had found a place out of the wind because try as I might I could not do it with gloves on. With the bindings tightened up I was off again but it didn’t solve the problem. 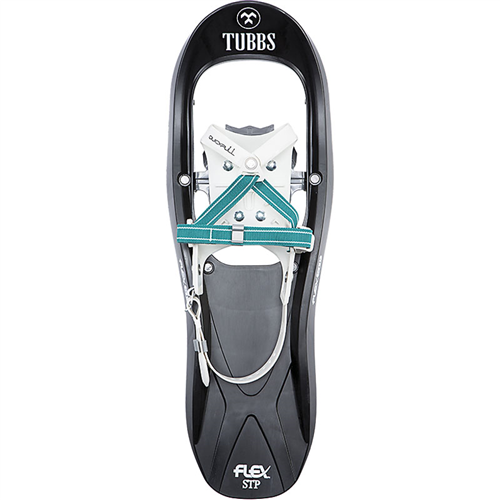 I later discovered that what had happened was that the lacing system was cinched too tight on the inside of my right binding and so was pulling my foot in that direction. I mention this because the instructions that come with the Elektras are very basic and you’re likely to have to learn, as I did, but fiddling around with them. Make sure that the lacing cord is evenly distributed throughout the system or you’ll end up with your foot being pulled in one direction or another. The Elektras are a great choice for groomed and easy to moderate trails including hills in the 30° range. They are light and comfortable with a nice binding system. I experienced the same problem with the binding. On a recent six-mile trek, I stopped almost every 15-20 minutes to re-strap my right foot into the snowshoe. I will be returning these and buying a different pair with a secure binding system. 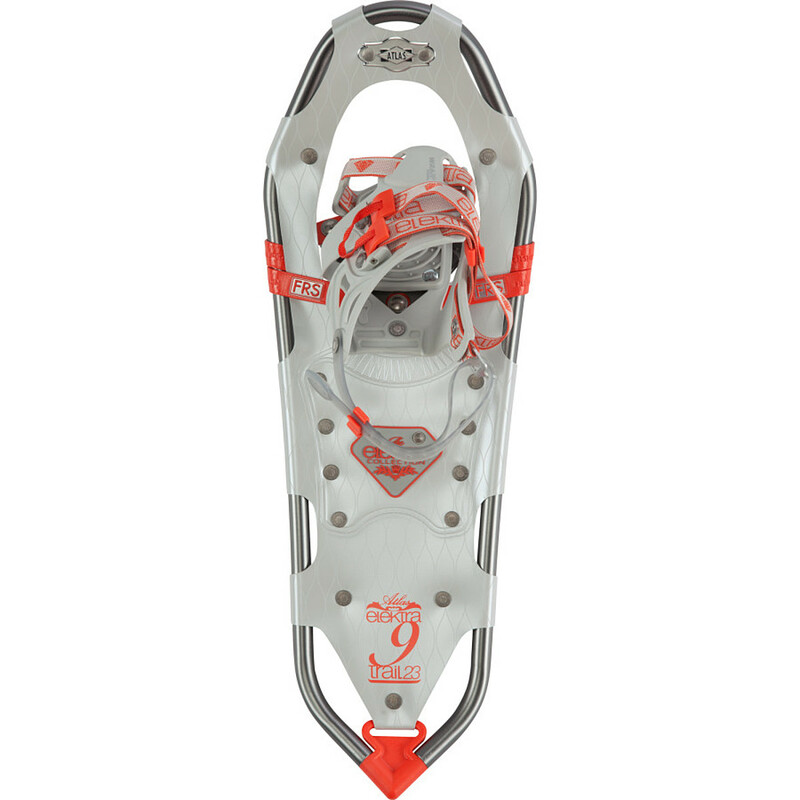 I gave it two stars because they are a good snowshoe...they just don't stay on when they are supposed to. The Atlas Elektra 8 Series is not available from the stores we monitor. It was last seen September 8, 2016	at Mountain Gear.